I was a teenage student in my native Barbados when I bought my first album. In fact, it was not one, but two albums and they couldn’t be more different. One was “Tapestry” by Carole King and both the album and artiste remain among my all-time favorites. The other album, released in 1993, was by Square One, a top local Soca band and it was entitled, “Square Roots”. “Tapestry” was on CD and “Square Roots” was on cassette. I was mainly able to listen to the former when I was at home with access to the CD player. But since we were still in the era of the Walkman, I could listen to “Square Roots” to my heart’s content. From the day I took that plastic off the cassette, I was locked on to Square One’s infectious rhythms, be it as I traveled on the bus, walked around my neighborhood, or hung out with friends where we’d unplug the headphones, play the music out loud and sing and dance along. As was the Bajan saying back then, “Man, I stretched out dat tape (cassette)!” My favorite track on that album was a slow to medium tempo tune, “Special”, because it simply made me feel that way. 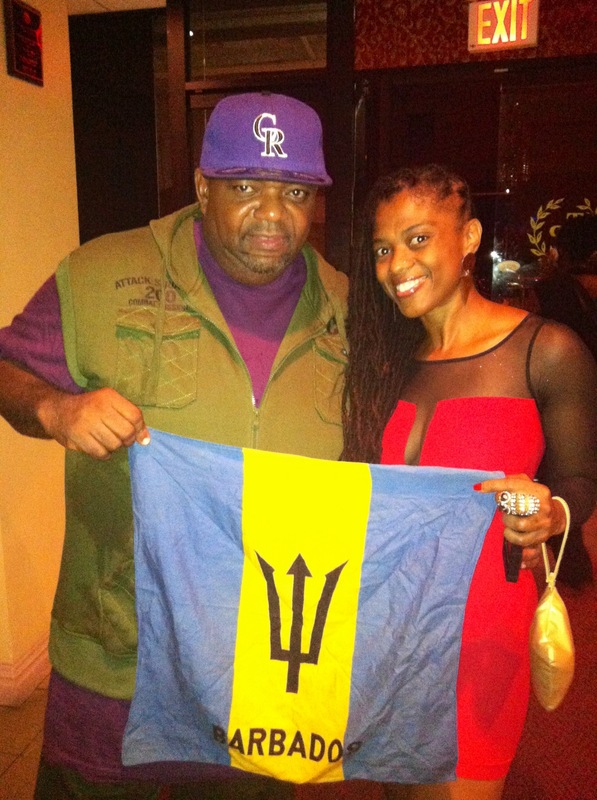 Me with Biggie Irie of Barbados.